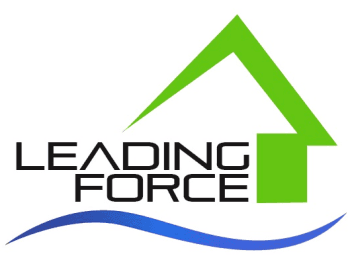 Leading Force is a team of professional design and construction companies that provide an integrated approach to healthy, energy-efficient, cost-effective homes. Company owners and primary team members have completed the requirements established by the National Association of Home Builders (NAHB) to be designated Certified Green Professionals. Specialty As owner of Leading Force Energy & Design Center, Steve brings 25 years of building experience to the team. As one of the few NAHB designated Master Certified Green Professionals in Eastern Washington, Steve specializes in building healthy, energy efficient homes and was awarded 2014 Builder of the Year. by the Central Washington Home Builders Association. By continually training and networking with service and trade professionals he and the Leading Force team stay on the cutting edge of technology, techniques, products and building codes. History Steve’s building career started as a log home builder. When his wife suggested that he should consider becoming a green home builder, he became certified and realized that he already incorporated many of the green home building principles on his projects. His first spec home was a custom home built from recycled materials but it wasn't until he was asked by a Selah, WA family to build a healthy home that he truly stepped into the world a building green. He studied every product available to create a healthy environment for the family. Philosophy He believes passionately that everyone should be able to live in a healthy home, that everyone should have an opportunity to reduce their energy costs, and that homes and building processes should have a low impact on the environment. Personal Steve is a people person. He loves networking, especially with those that desire to create healthy, beautiful and energy efficient homes. He loves adventure and trips to warm places with his wife and hanging out with his sons. It doesn't seem to matter whether he is skiing, fly fishing, hiking or having a glass of wine with a friend, he always seems to come home with a story about somebody interesting that he just met. Specialty Don Jordan Energy Systems designs and specializes in insulation, caulking, sealants and ventilation and installation in new construction and also retrofitting existing buildings. They can help design thermal performance in your building, provide complete installation of insulation and air sealing and test the home and duct system. History Don has been able to advise and mentor many in the industry, serving on the Washington State Building Code Council, as co-Chair on the Washington State Technical Advisory Group, and as a member of Insulate America. Don has also served on the Board of Directors of the Yakima Chamber and has been a member of the Sunrise Rotary for 20 years. Working for Reese and Sons Insulation during the summers, Don’s primary work was in controlled atmosphere and cold storage. He served as an apprentice in the Carpenters Local 770 and managed two other insulation companies prior to opening Jordan Insulation in 1983. Personal Don loves to work and spends a lot of time mentoring his staff, but on weekends you might find him enjoying fishing, golf and his eight grandchildren. Specialty With more than 30 years experience, Paul specializes in all mechanical systems design and application with expertise in geothermal. He will help you find the system that works best for the building’s design and get the best savings for your power bill. He loves a challenge and will take on unique and never-tried-before projects. History When he was young, Paul went to work for his father-in-law as a shop clean-up kid, became a superintendent on jobs, and later taught at Columbia Basin College in the sheet metal workers apprenticeship program. In 1992, he began working with geothermal systems and in 2007, Paul founded Airf/x Heating and Air Conditioning. Philosophy Seeing that Paul was going to be successful after graduating from his apprenticeship program, one of his instructors told him “Don’t ever take your boots off; don’t ever lose sight of that. It’s okay to work hard and get dirty.” When you meet Paul, you’ll see he’s still wearing his boots. Personal Paul loves to work, ski, and be a grandpa and he dreams of having a blacksmith shop. Specialty Terry is a collaborator, and passionate about helping people create places that synergize their personal values with the gifts of their site. For twenty years, she’s focused on healthy, sustainable design using local, natural materials. She is also a Certified Aging in Place Professional, and Certified Real Estate Instructor. History Terry started her career at a residential design firm in 1977 while in the architectural drafting program at Spokane Community College. Her early work includes plan checking/ building inspecting for Spokane County building department and mechanical/electrical/industrial drafting for Wood-Harbinger in Seattle. Later she joined Flynn Associates and then Architectural and Planning Consultants. In lieu of a college degree, Terry’s apprenticeship education prepared her to pass her state licensing exams in 1989, the same year she earned a People’s Choice recognition for a Seattle Street of Dreams home. She founded Living Shelter in 1992, and collaborated with Yakima builder Jim Sevigny almost exclusively for the next five years. Philosophy Terry believes that good design is based in relationship – to people, place, and nature. Her passive solar strategies give you a leading edge on rising utility costs, and an aging in place approach ensures you can stay longer in the home you love. She loves helping bridge natural building and conventional construction in a way that can provide resilience, comfort and timeless beauty. Ask her about straw bale construction. Personal Terry lives with her husband in a 1930′s bungalow, which is a restoration and energy retrofit project in process. She enjoys spending time in her garden, cooking for friends, traveling to new places, hiking with her dog in the woods and riding on the back of her husband’s Harley. Specialty Gina manages the Leading Force showroom. She has more than 30 years' experience in displays, space planning and design. She likes to meet clients, ask them questions, visit their project, and work with them to achieve the look they want within their budget. She also does color consultations, decorating, upholstery and custom art work. History Gina has owned and operated Unique By Design since 1989, a decorating, faux finishing, specialty paint treatments and murals business. She has clients in the Pacific Northwest and Canada. She worked at Schultz Furniture, managing the 100,000 square foot showroom designs and displays. She also created displays for Bon Marche for many years. Her extensive portfolio is available upon request. She has been instructed in display, lighting, color reading, space planning, design, form, and merchandising, and received additional training at the Thomasville Furniture showrooms in Greensville, South Carolina. Philosophy She stays familiar with current color forecasts for design and decor, and can help you figure out your project and what will work best for you. She is familiar with doing projects on a shoestring, within a tight budget, but also enjoys being given the freedom to do whatever she wants. Specialty Solar energy systems. Gary brings knowledge and expertise in the area of renewable energy—primarily solar photovoltaics (PV). The first community solar project in the United States, along Interstate 90 outside of Ellensburg in Washington State, was Gary's brainchild. The initial kW phase was installed in 2006, and Ellensburg Solar completed the most recent expansion in 2016, nearly tripling the size of the project. History After serving in the military, Gary graduated in Architecture at the University of Nebraska, where he witnessed the early stages of solar and sparked his lifelong passion for it. He expanded his energy background as the Conservation Manager for the Nebraska Energy Office and Resource Manager for the City of Ellensburg's Natural Gas and Electric Utilities. As a Project Manager for Ellensburg Solar, Gary bids and helps manage both residential and commercial solar projects. With his strong background in both conservation and renewable energy, Gary is able to assist customers in making energy decisions whether they're building new or simply upgrading their existing home. Philosophy Gary believes in the clean, inexhaustible energy resource of the sun. He also believes in distributed power generation where power is produced where it is used to minimize having to transport it. Personal Gary recently moved to Yakima to be closer to family. He loves to golf, be with his family, and is active in church and community service. Specialty E3 Solution’s goal is to work with the team to create a design that will give clients the network infrastructure they need. Scott brings 30 years of expertise and a keen eye on technology trends. He integrates audio video, access control, security cameras, fire, networking, phones, and low voltage cabeling and more into his designs. History Starting out at the age of 15, Scott began working for his dad’s low voltage company installing Muzak systems. From there he went to Stereo First in Yakima, and then to Seattle to learn about upcoming technologies from AVA Northwest and Speaker Lab. His company AVE Consulting brought these technologies to Yakima. He is constantly keeping up on the newest interfaces to keep customers connected to their homes. Philosophy Scott loves to customize solutions for his clients and bring them all together in one seamless app system. He wants to make sure your home behaves. Personal Scott’s kids are his passion and on weekends you will find him coaching his son’s baseball team. May the "Force" be with you.